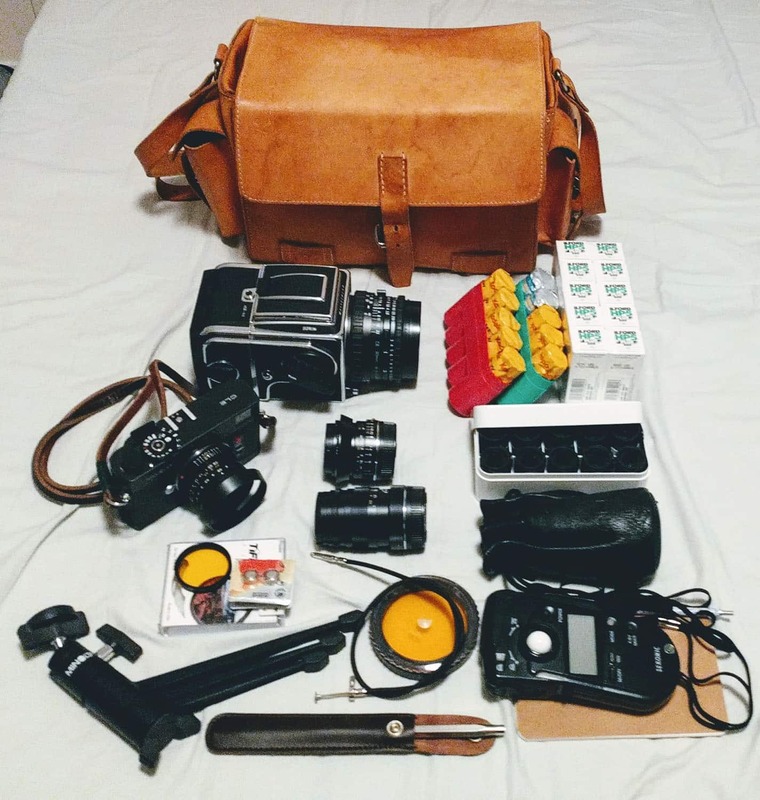 Nils hauls around daily a classically handsome bag for some classically handsome cameras. I made the above picture last February, when packing for a two week trip through Israel & Palestine. After some bad experiences with used, cheap-ish medium format cameras I decided to do it right. After all, at that point I knew that I would stay with film and medium format for a long time. I found a new and fully serviced Hasselblad 501CM. 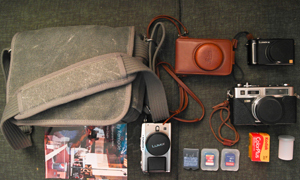 The leather bag came along with it and it is, together with a bag liner, perfect for the setup shown in the image. For 35mm I carry a Minolta CLE with the three matching Rokkor M lenses. The camera is usually loaded with Ilford HP5. I often end up pushing it two stops and use a dark yellow filter. 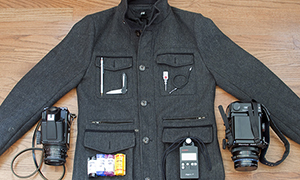 This gives me the ability to cover everything from dark alleys to brightly lit squares at noon. 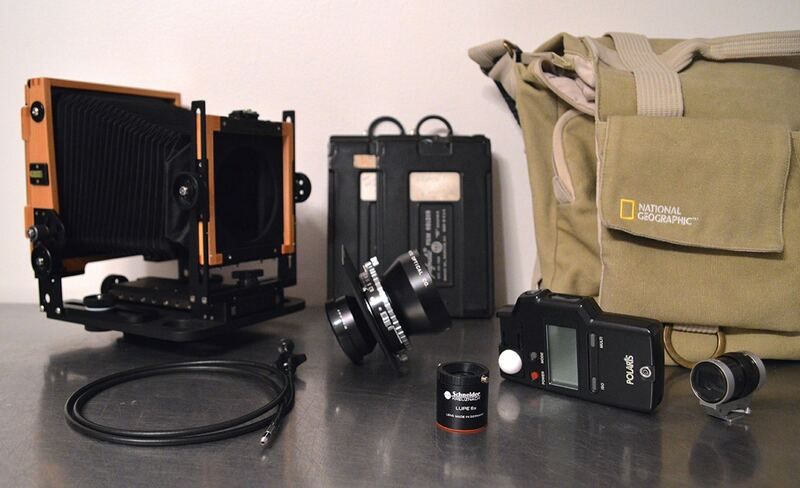 The Hasselblad is usually loaded with either Kodak Portra 400 or Ilford HP5. Sometimes some rolls of Kodak Ektar 100 or Fuji Provia 100f sneak in. The film is neatly packed in some JCH film holders (with each trip I seem to need more of them). The Sekonic L-408 was one of the best investments I have done recently. Since I got it, I have had hardly any missed exposures. The little Minolta tripod has also proven to be worth its (quite considerable) weight in gold. It is made from metal and easily stable enough to support the Hasselblad during long exposures. Perfect for when I don’t carry a full tripod. After a few years of trying out different systems and a fair bit of GAS I have found a setup that really suits me. The CLE to me is a slightly forgotten gem of the M system. It’s small size, precise exposure meter and great viewfinder (especially for people with glasses) makes it perfect for me. The only thing that was missing for me was a properly fitting ready-case. Thankfully I recently found one from the limited gold edition for sale and it is already being put to good use. My work can be found under wenzlern.ch or @wenzlern on Instagram. 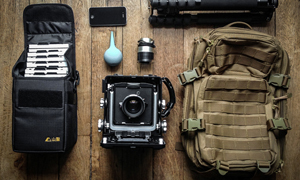 Thanks for sharing with us your bag shot, Nils. An aesthetically pleasing and comprehensive yet minimal setup indeed.